Hall, Frederick. "Concert Halls and Opera Houses". The Canadian Encyclopedia, 04 March 2015, Historica Canada. 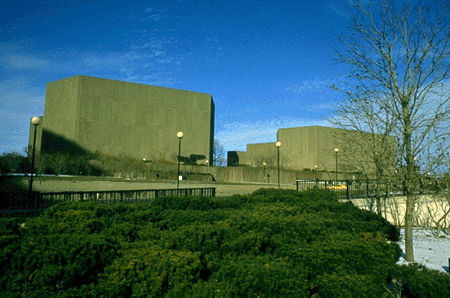 https://www.thecanadianencyclopedia.ca/en/article/concert-halls-and-opera-houses. Accessed 18 April 2019. Most 18th- and 19th-century structures have not survived fires and demolition. However, some travellers and residents left brief descriptions of these early buildings. 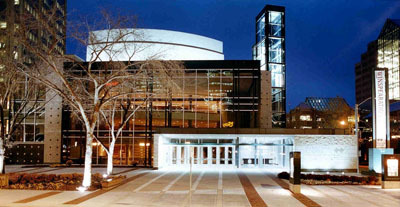 The EPCOR CENTRE for the Performing Arts is home to theatre, symphony, opera and other events (photo by John Dean/Take Stock Inc). Carthy Organ in EPCOR CENTRE's Jack Singer Concert Hall. The music is the opening from Francis Poulenc's Concerto in g minor, with the Calgary Philharmonic Orchestra, Patrick Wedd, organ (courtesy CBC). When Canada was being settled in the 17th and 18th centuries, buildings for defence, accommodation and religious worship took priority. However, once these essential structures were completed and social order established, inhabitants could consider entertainment. In Québec and the Maritimes early concerts and theatrical presentations took place in what 18th-century newspapers advertised as a concert hall or theatre. In fact, performances generally were located in an assembly room of a hotel or inn, the upper floor of a tavern, or in the local mechanics' hall. During the last 2 decades of the 18th century and especially in the first half of the 19th century, concerts and dramas were regularly presented in Québec City (Thespian Theatre, Marchant's Coffee House, Frank's Tavern), Montréal (THEATRE ROYAL, Dillon's Hotel, Salle de Spectacle), Halifax (British Tavern, Theatre Royal), Saint John (Mallard's Long Room), St John's, Nfld (Globe Tavern), and at the end of the 19th century, Toronto (St Lawrence Hall). Most 18th- and 19th-century structures have not survived fires and demolition. However, some travellers and residents left brief descriptions of these early buildings. For example, William Dyott, a British army lieutenant stationed in Halifax, describes in his diary the first Maritime theatre built for dramas, operas and mixed entertainments: &QUOT;February (1789) - the officers in garrison fitted up a new theatre It was as complete a thing for the size as I ever saw. Boxes and a first and second pit.&QUOT; By the mid-19th century, touring performers could find some sort of facility in many towns of central Canada. &QUOT;Our stay at Hamilton was marked with signal success in a professional light. We played at the Mechanics' Hall - fine one for singing in - well situated and tolerably cheap - 15 dols. a night We played also at the Templars' Hall, a charming little room well worthy of a trial by any one attempting Entertainments&QUOT; (Horton Rhys, A Theatrical Trip for a Wager, 1861). With the advent of touring theatrical and musical companies, between 1870 and 1900, a series of opera houses were constructed across Canada. These buildings formed one of the first important Canadian cultural links. With the completion of the railway from east to west, entertainers could travel economically and efficiently. By 1900 Montréal, Ottawa, Kingston, Winnipeg, Vancouver and many smaller cities had completed buildings. Even Dawson City and Barkerville had opera houses - monuments to the extravagance of the gold rush. The name opera house was somewhat misleading because dramas, mixed entertainments of acting and singing, and performances of feats of skill were the most common attractions. Some early opera houses could seat between 1000 and 2000 people. 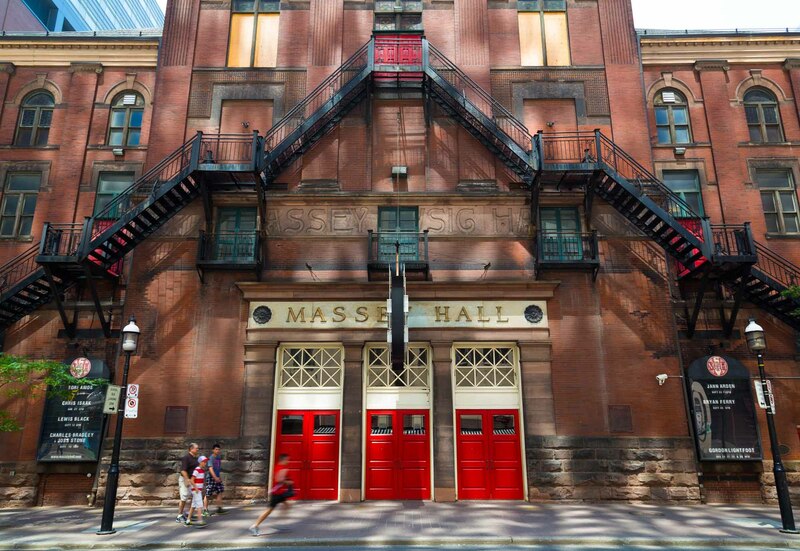 Toronto's MASSEY HALL, opened in 1894 with a seating capacity of 4000, is the best period example of a concert hall primarily designed for large orchestral and choral performances. However, during the first half of the 20th century few cities had concert halls or opera houses for these specialized purposes. Most of the old so-called opera houses, if they were not destroyed, became movie theatres. Concerts and opera performances usually took place in high-school auditoriums, sports arenas or other makeshift venues. The second half of the 20th century witnessed a growth in the building and restoring of recital halls, opera houses and large multipurpose performing complexes. PLACE DES ARTS (Montréal), Confederation Centre of the Arts (Charlottetown), NATIONAL ARTS CENTRE (Ottawa), Grand Théâtre de Québec (Québec City), Saskatchewan Centre of the Arts (Regina), Hamilton Place (Hamilton), Orpheum Theatre (Vancouver), Roy Thomson Hall (Toronto), and the companion Jubilee auditoriums (Calgary and Edmonton) are some examples. 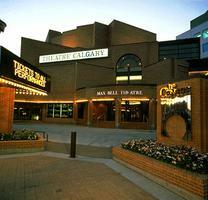 The 1800-seat Jack Singer Concert Hall, part of the Calgary Centre for Performing Arts, opened in September 1985. These structures are the homes for resident orchestras which present concert series to surrounding communities. In addition, concert halls present touring entertainers from North America and abroad, and extensive seasons of varied entertainment.